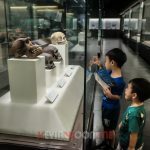 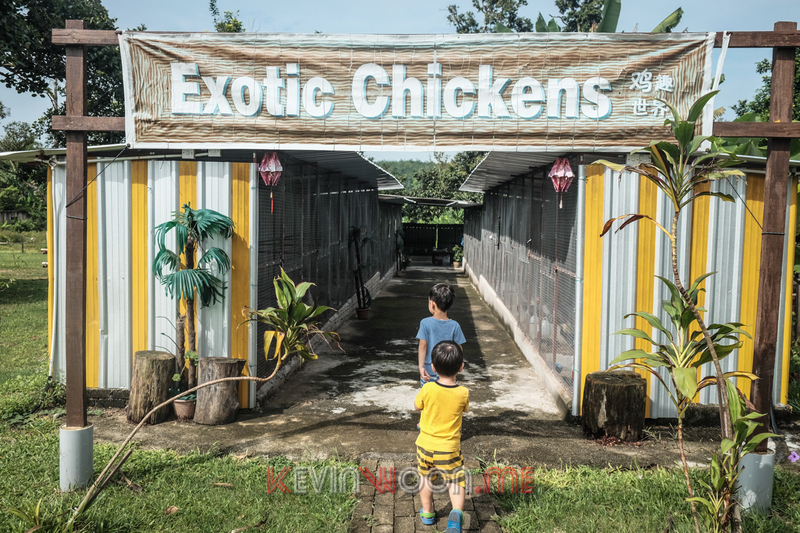 I saw the sponsored Facebook post by Aves World Broga on Friday and felt that it was an interesting place to bring the boys to. 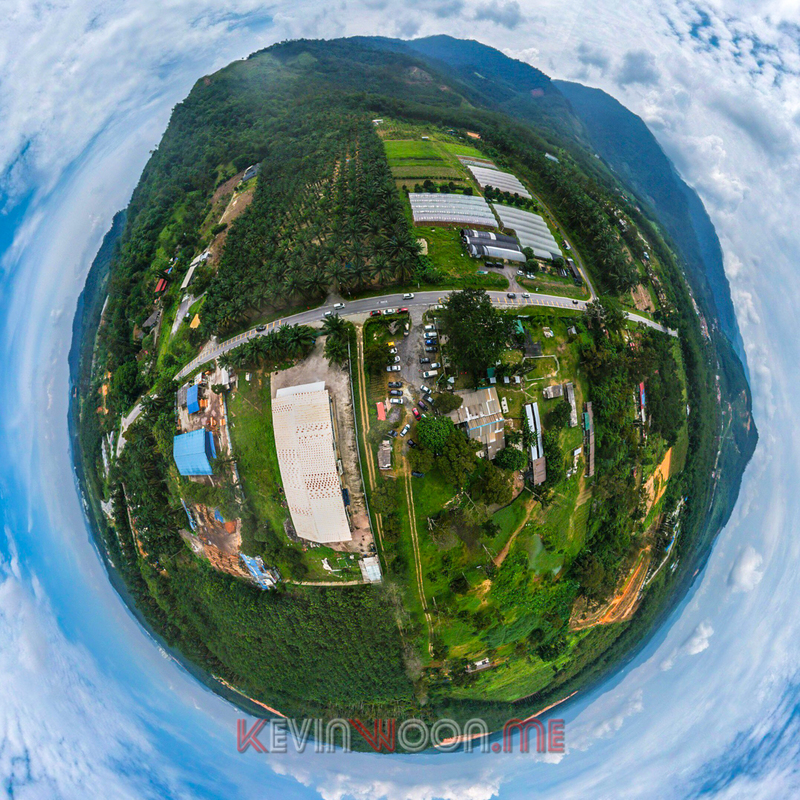 So here we are at Aves World Broga on the next day. 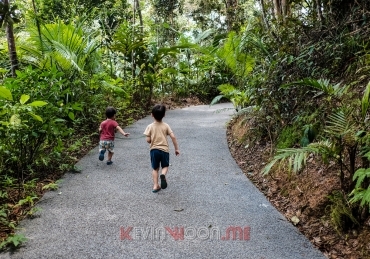 It took us about 45 minutes to drive from Ampang to Aves World Broga at Broga, Semenyih. 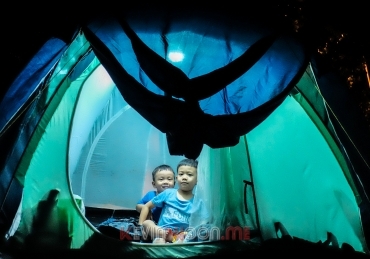 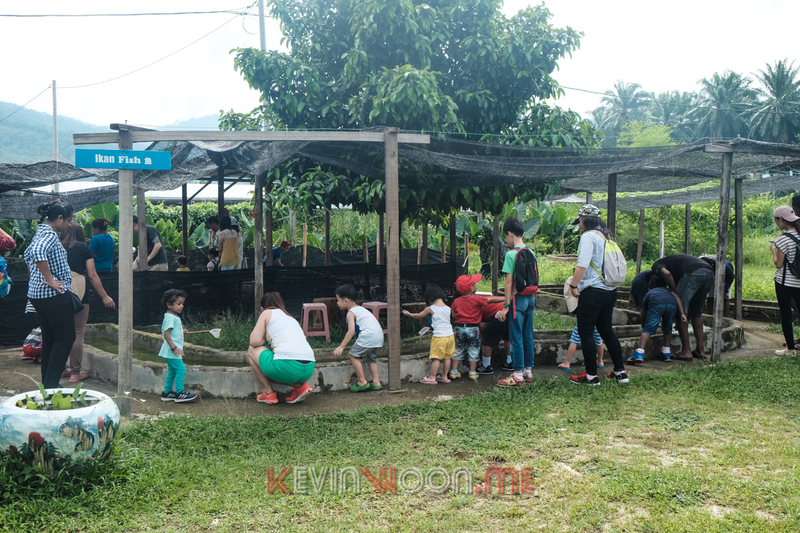 It is located directly opposite of the open space parking place of the Broga Hill hike starting point. 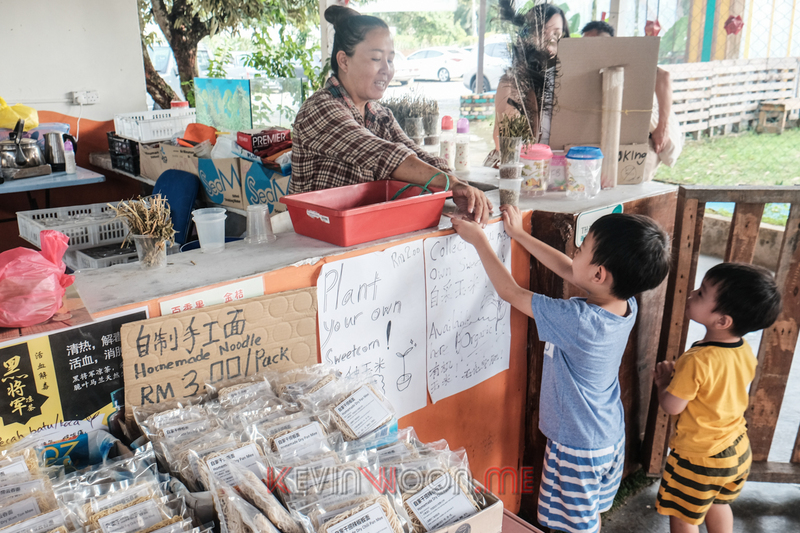 The entrance fee is RM8 per person for both adult and child which you pay at the counter at the entrance. 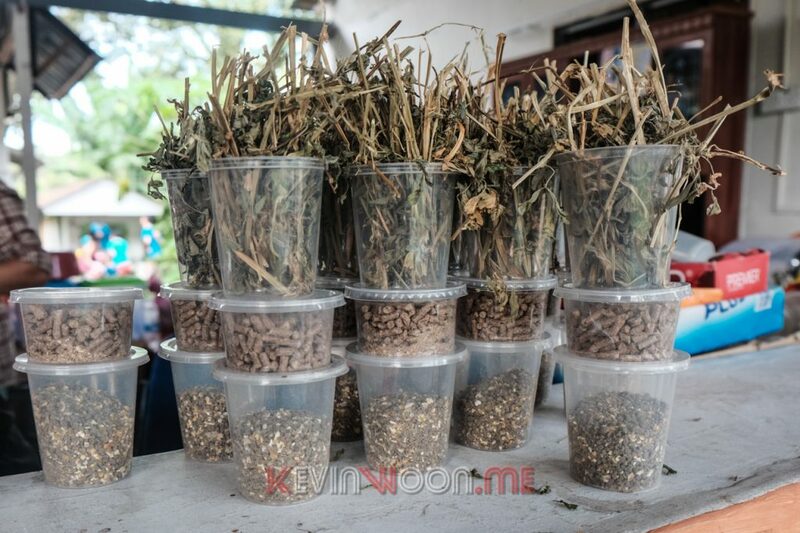 You can also buy animal feed here – RM10 for 3 containers that consist of food for the rabbits, goat/cow and the chicks/ducks. 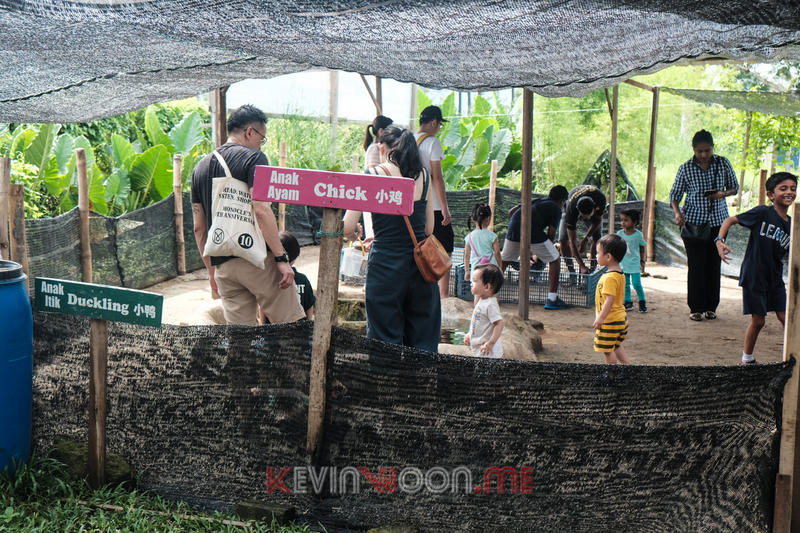 This area displays various chicken breeds from different countries. 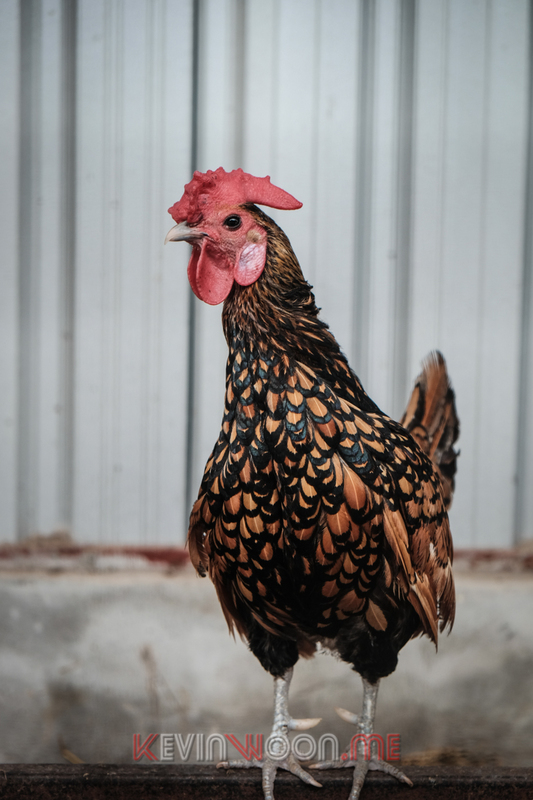 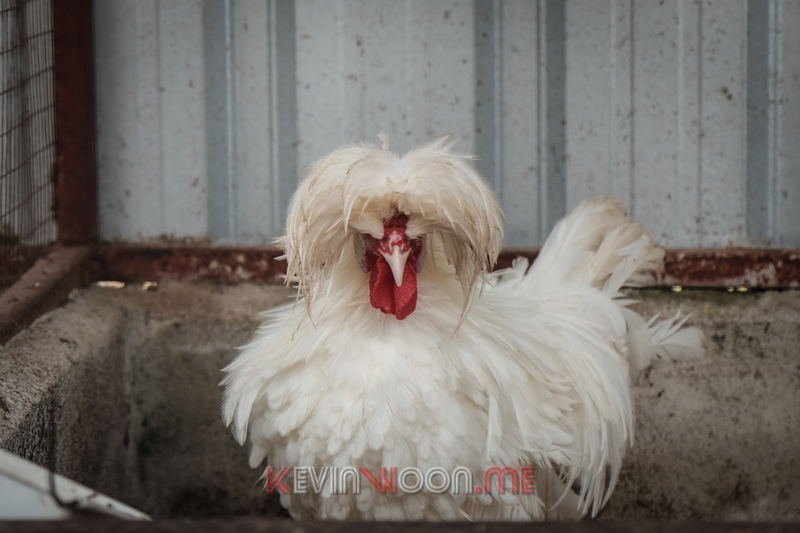 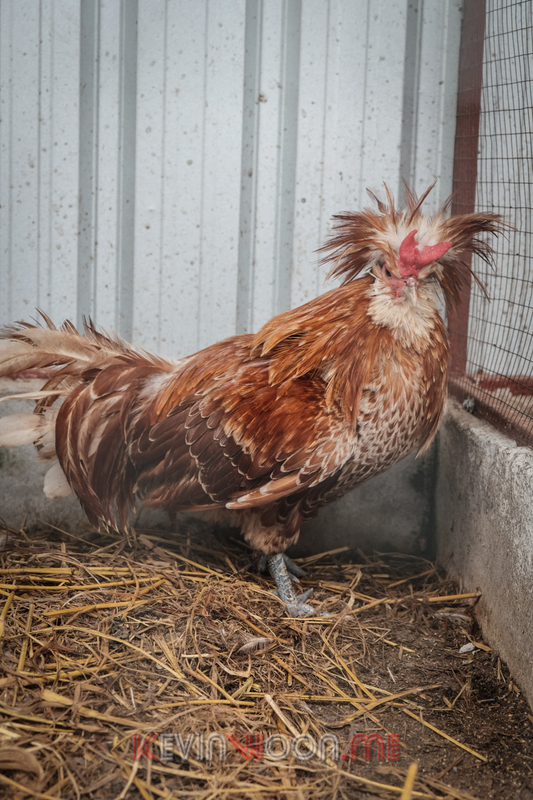 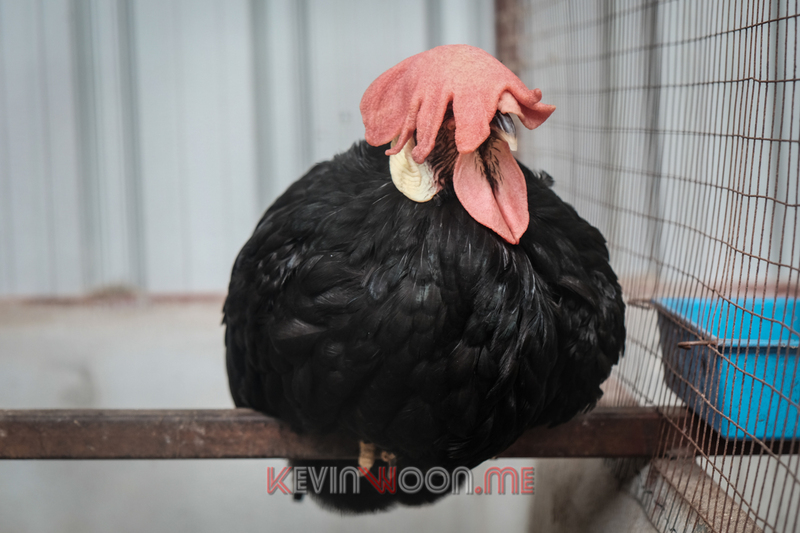 Some of these chickens look pretty “weird” and caught my attention. 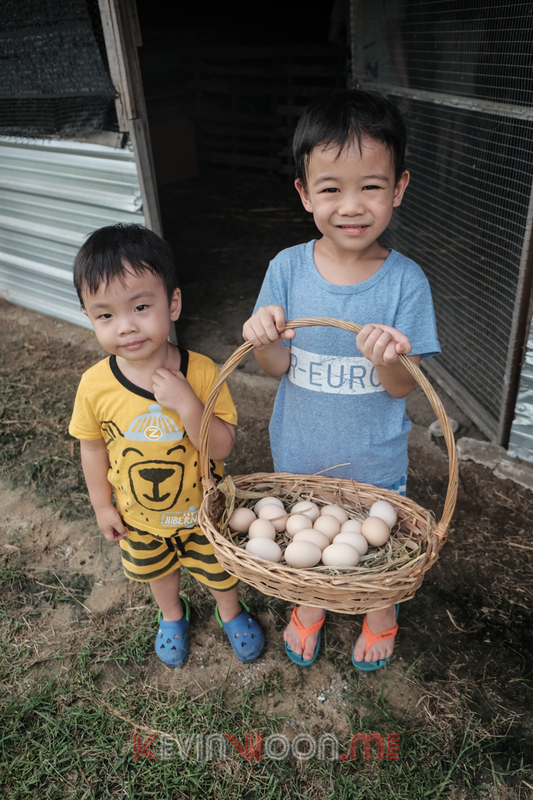 You can buy these organic chicken eggs at RM0.80 a piece. 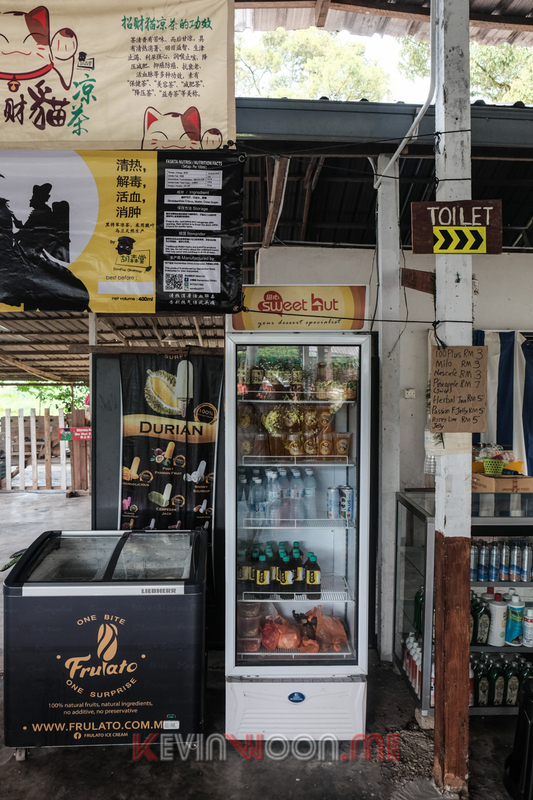 If you’re feeling tired and hot, you can always get a drink at the rest area besides the counter at the entrance. 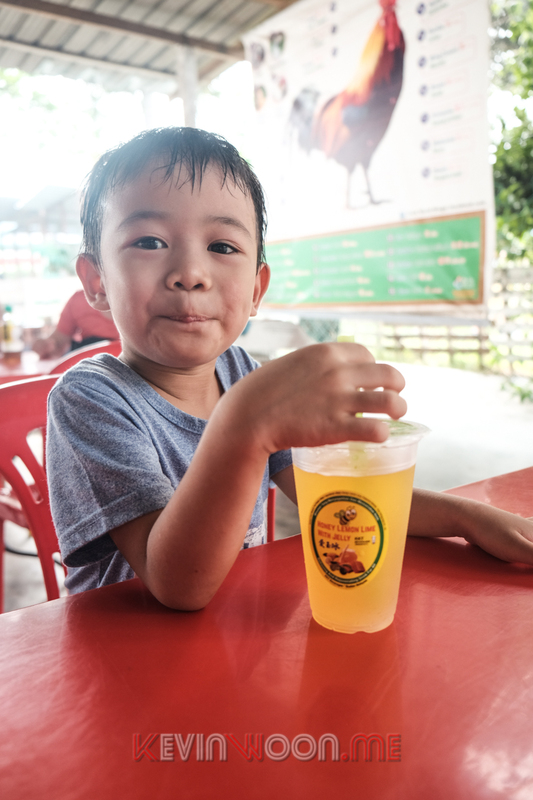 You can buy cold drinks and herbal tea here and enjoy it in the shade. 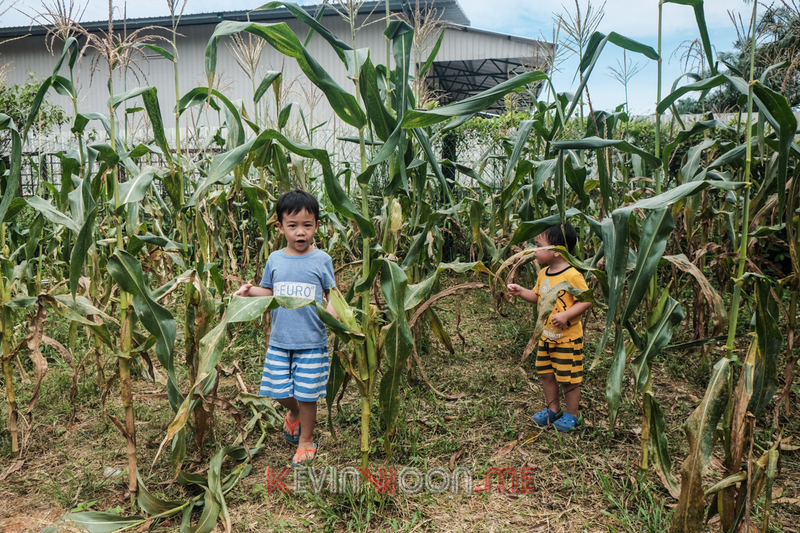 There’s a small corn field patch near the entrance and was a good chance to show the boys how corns are grown. 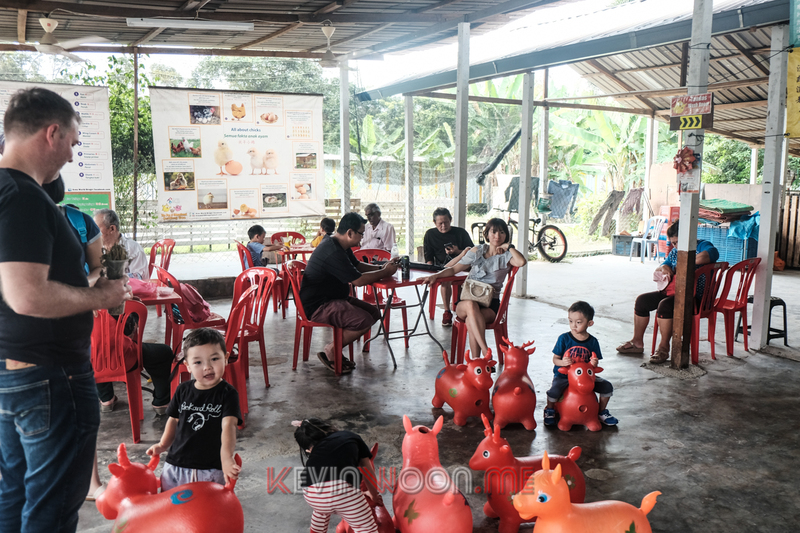 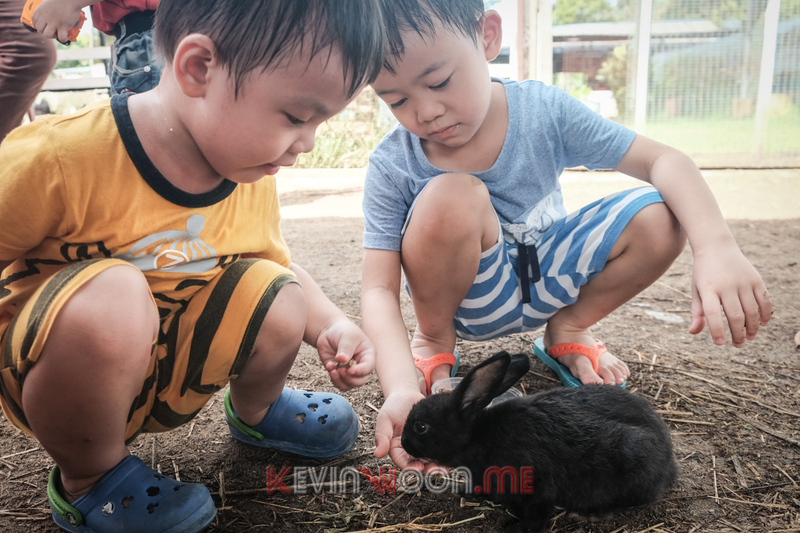 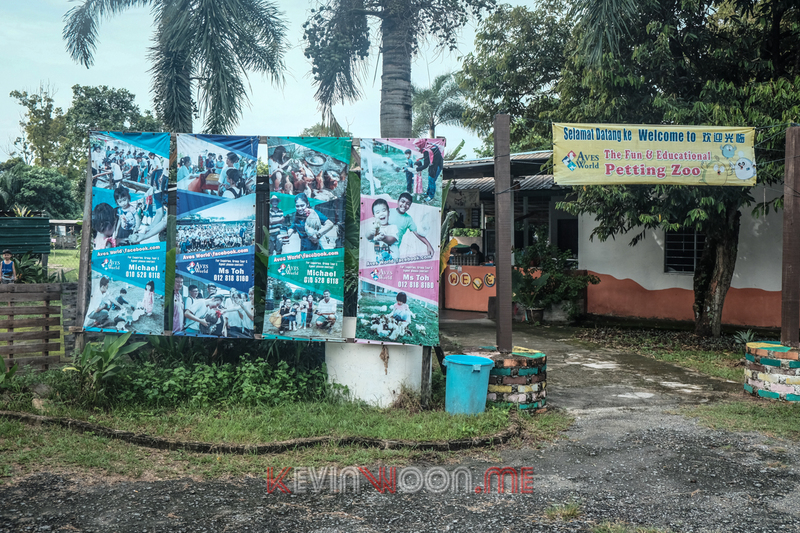 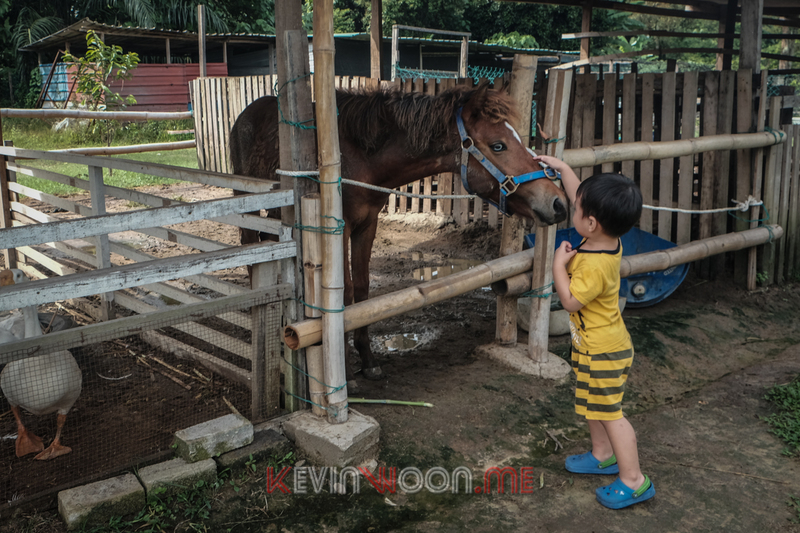 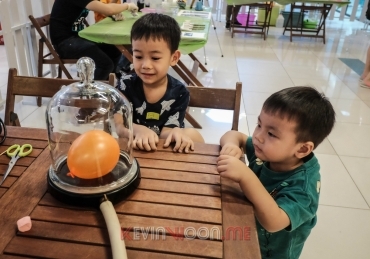 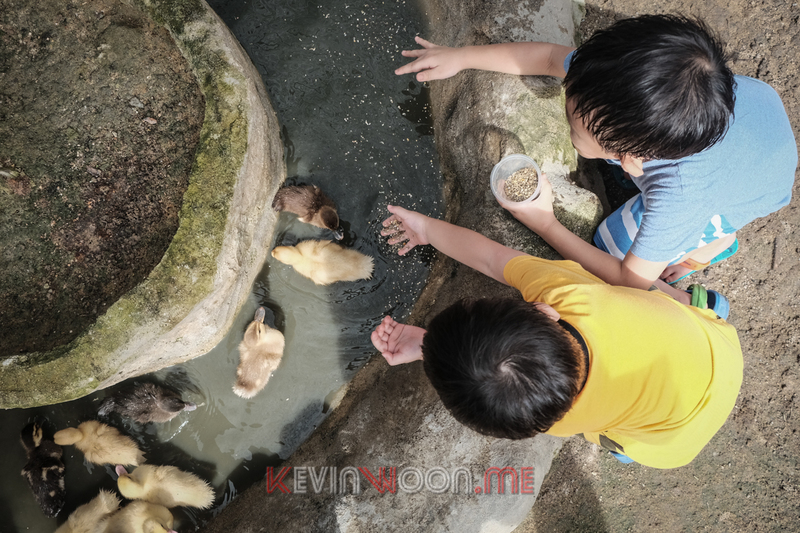 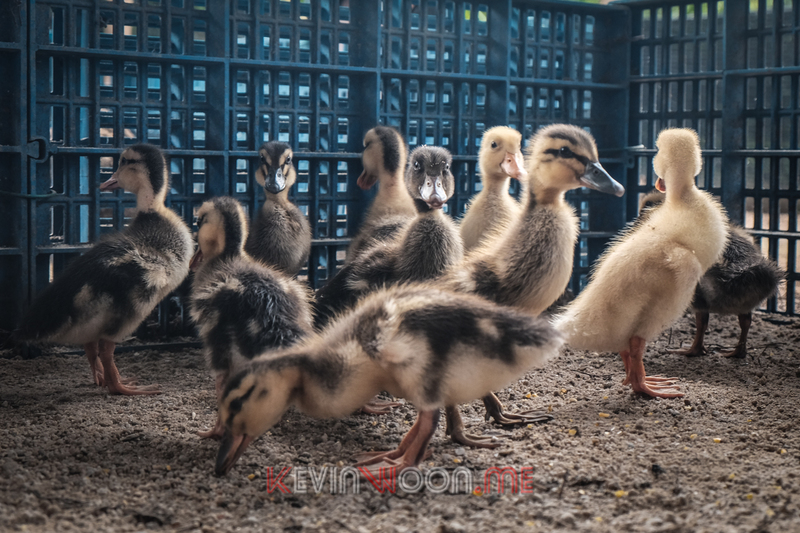 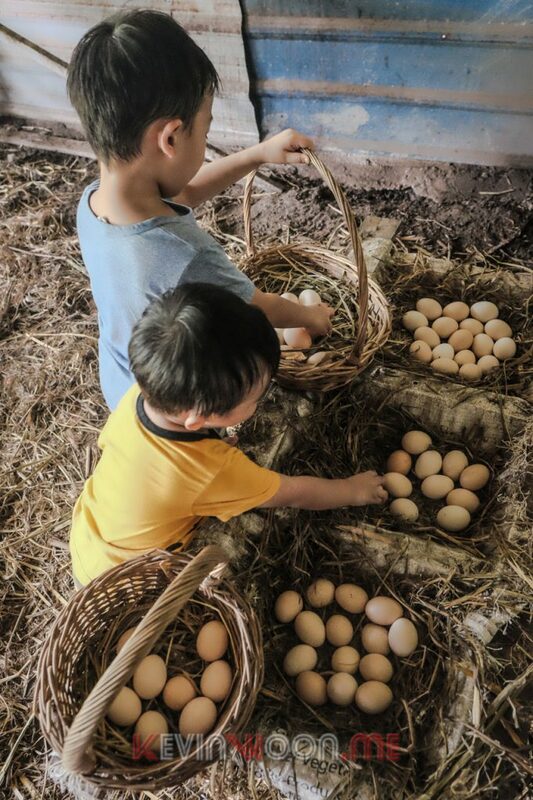 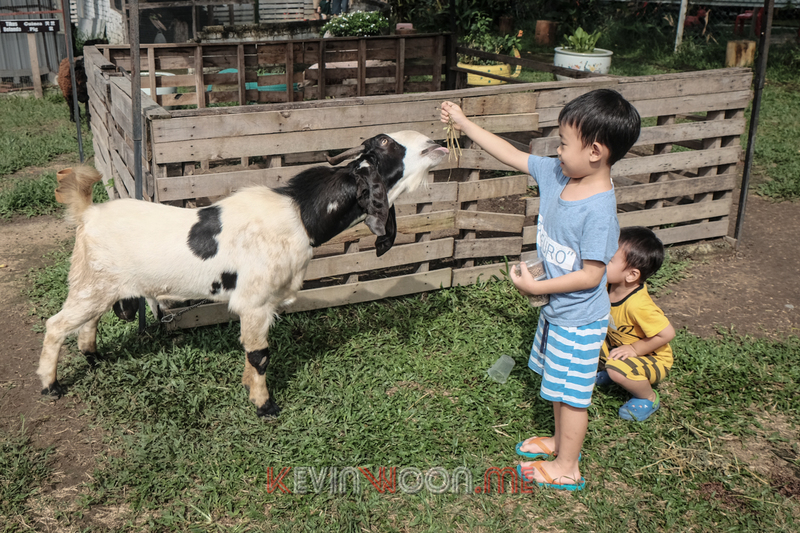 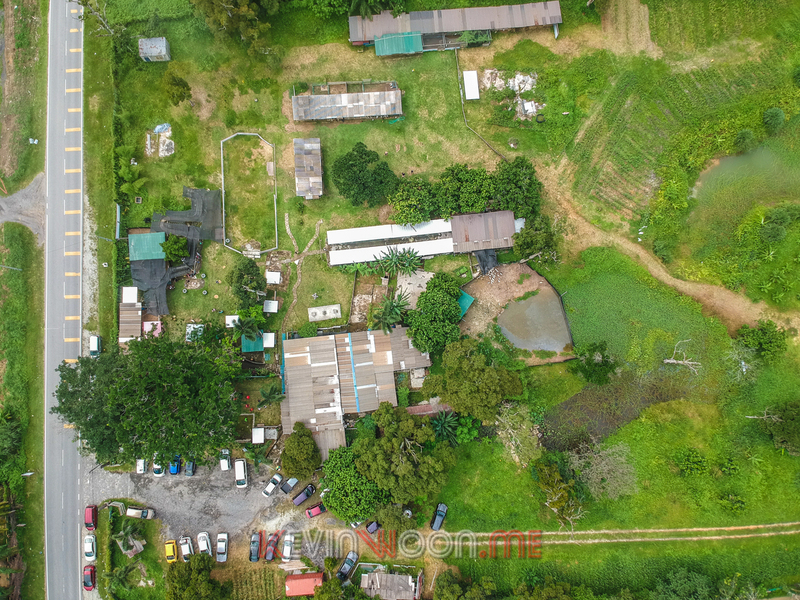 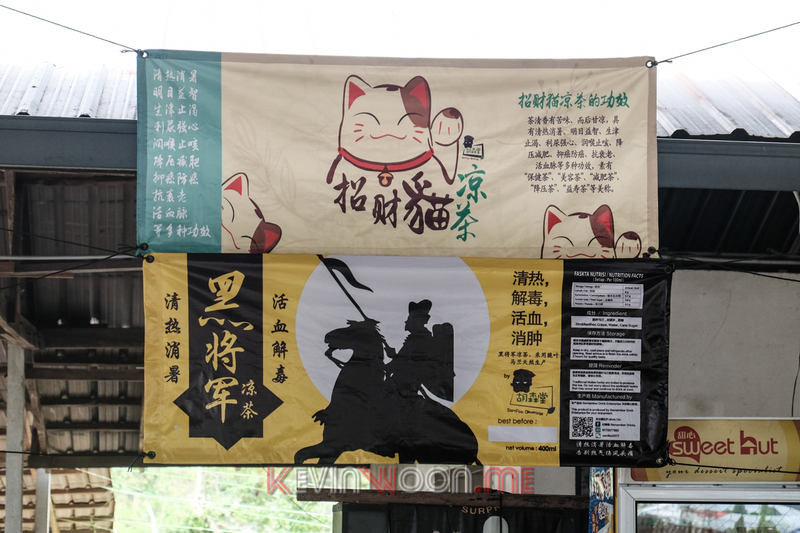 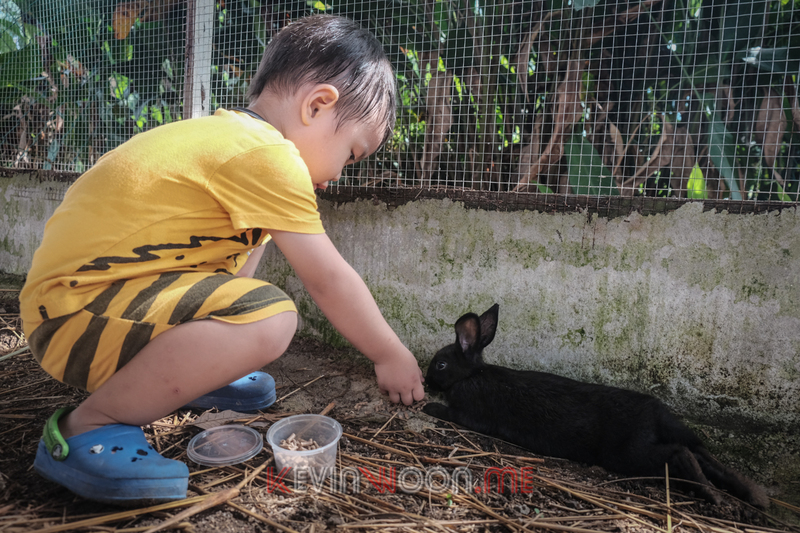 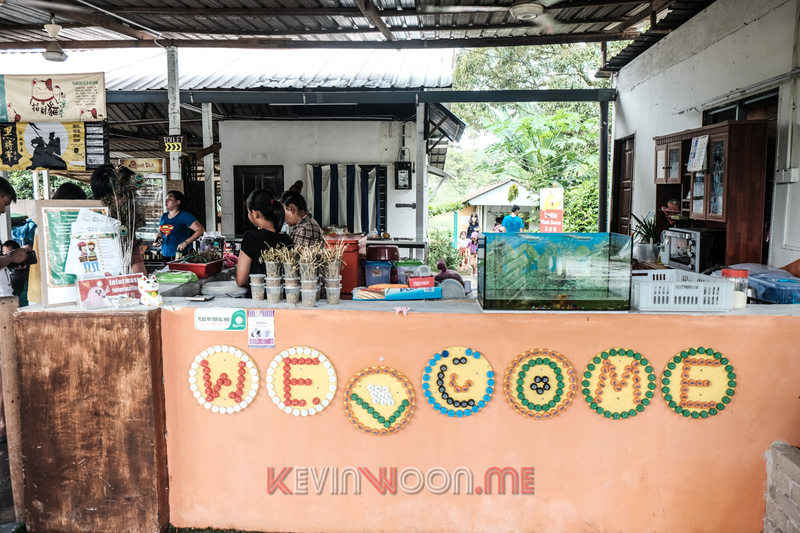 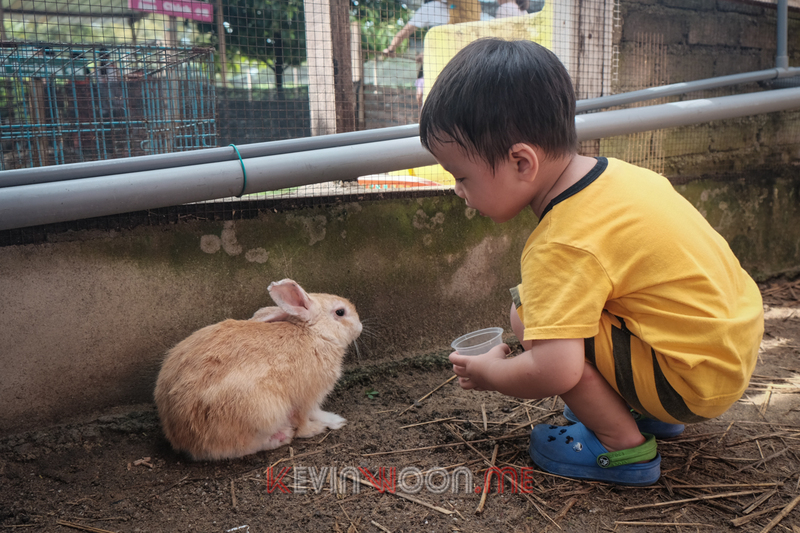 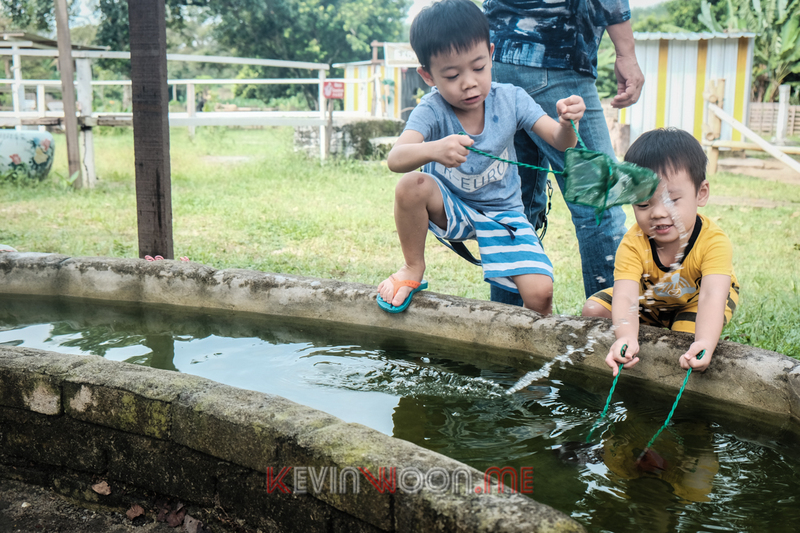 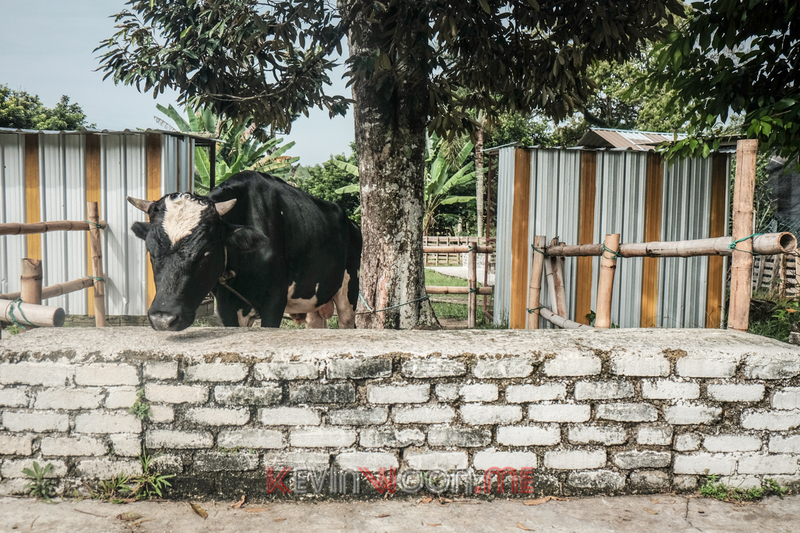 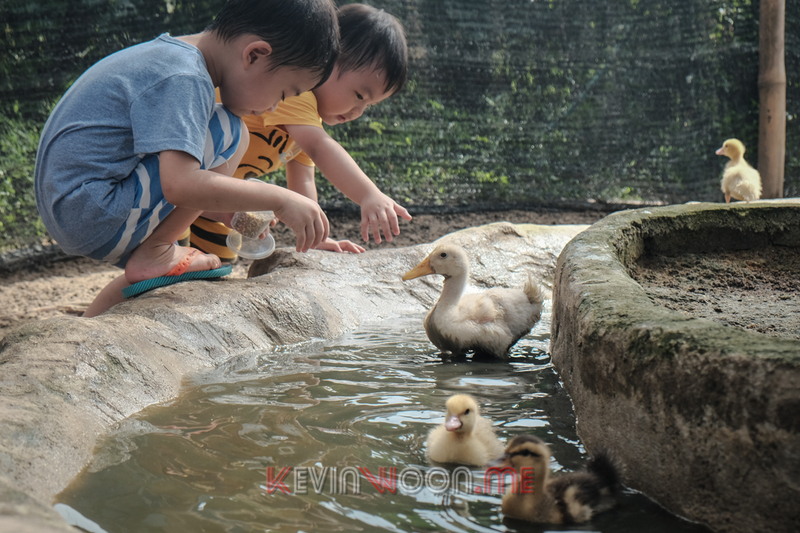 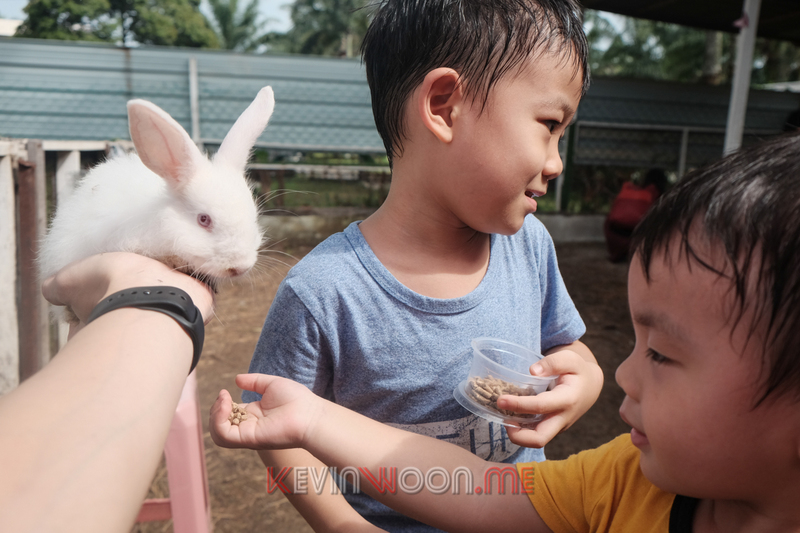 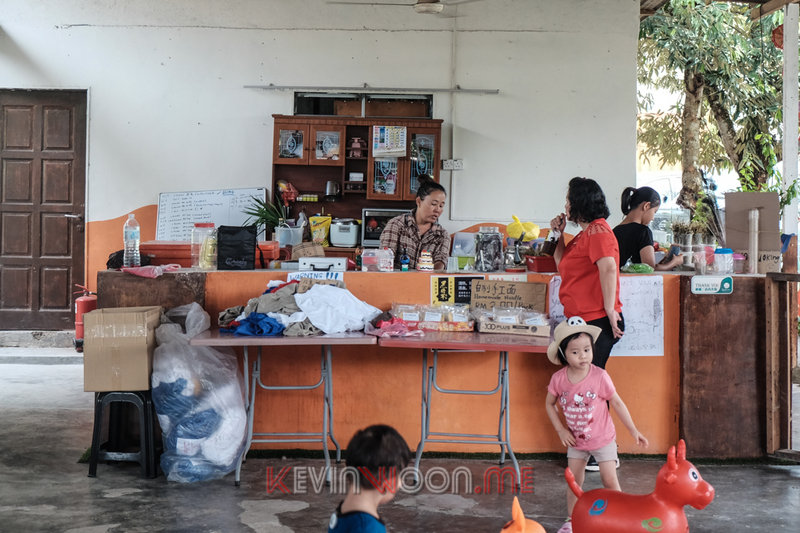 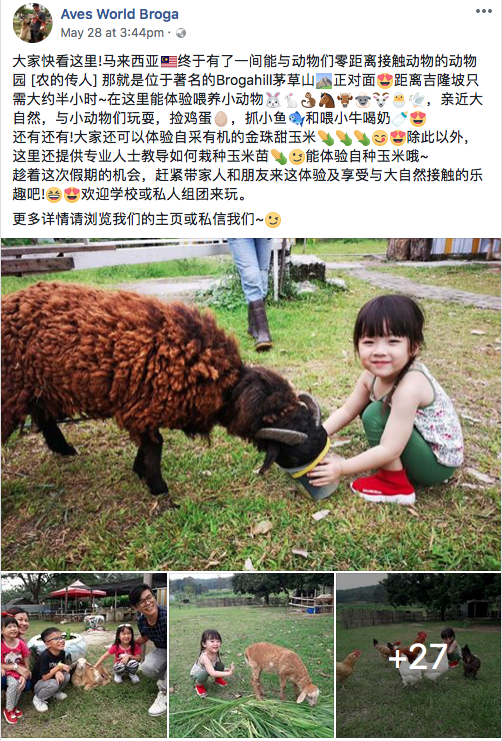 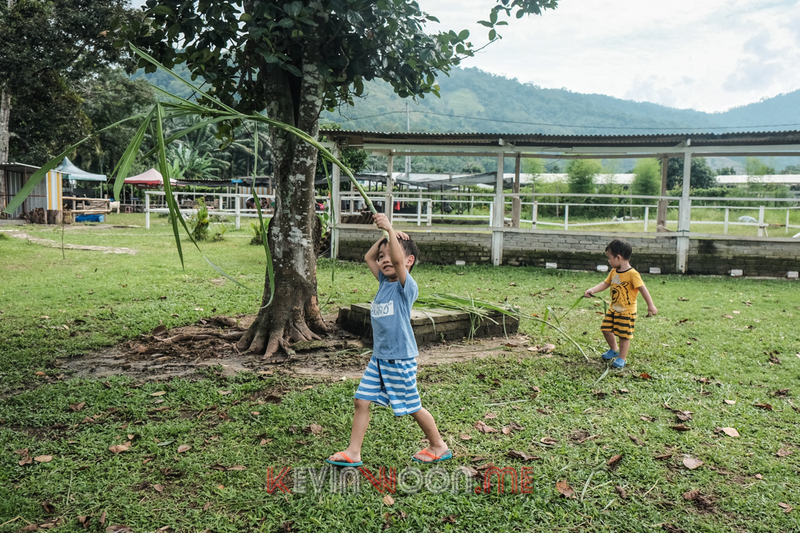 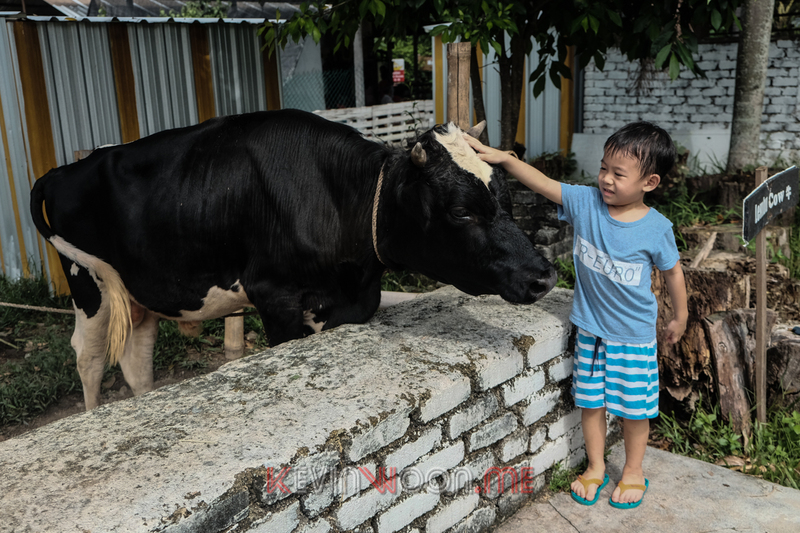 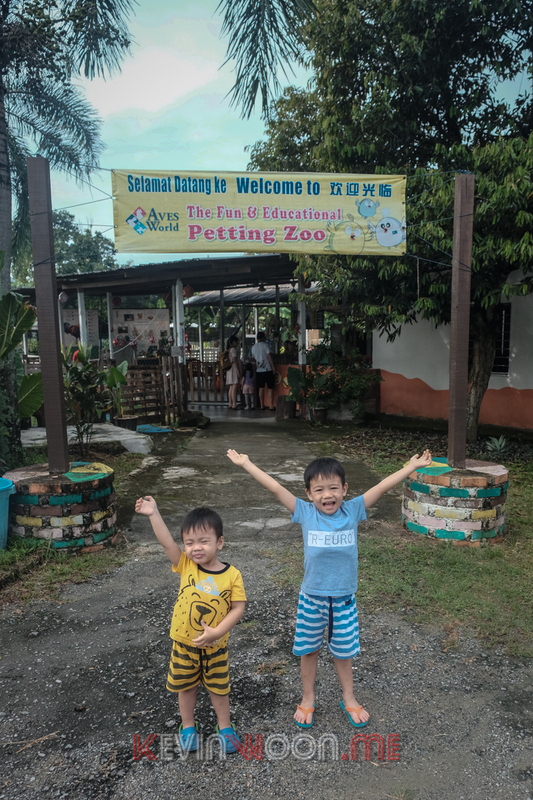 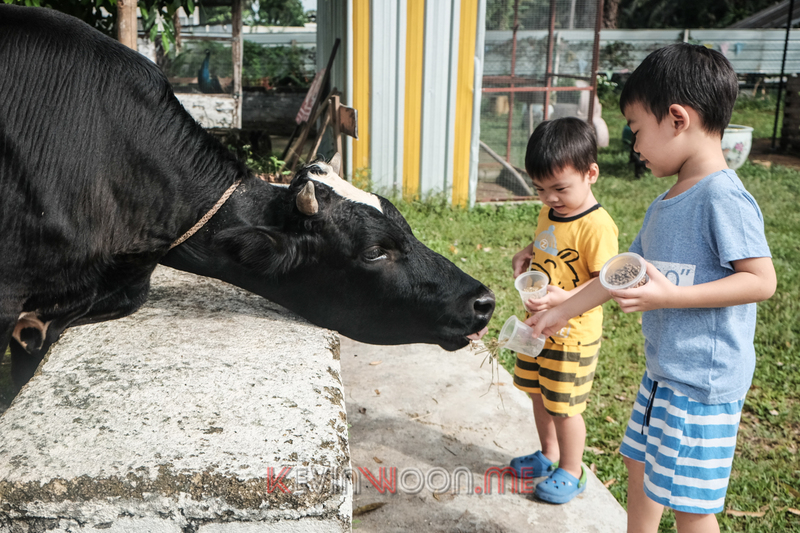 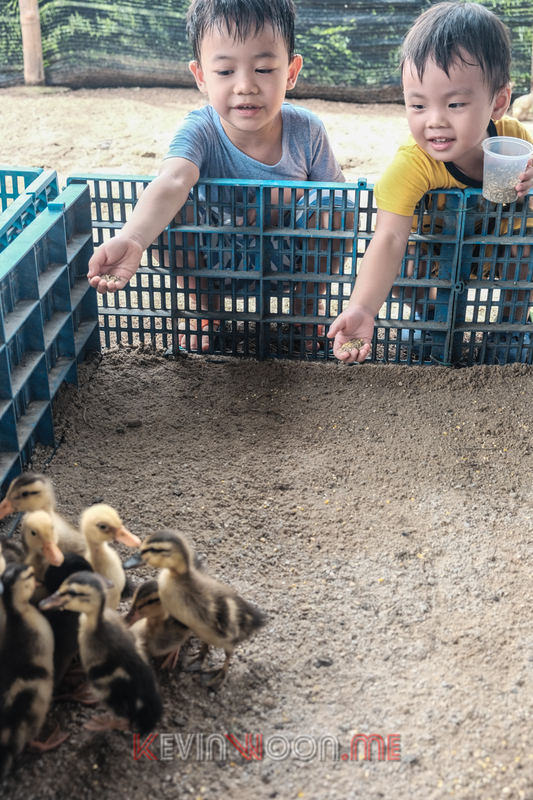 This place cannot be compared to the popular Farm in the City at Seri Kembangan but for RM8 per person, I think it’s a relatively cheaper option for the kids to have the experience to get in close contact with farm animals. 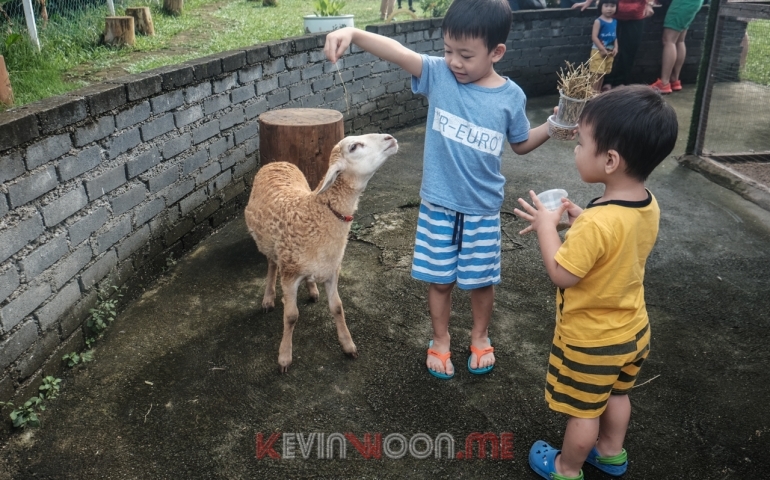 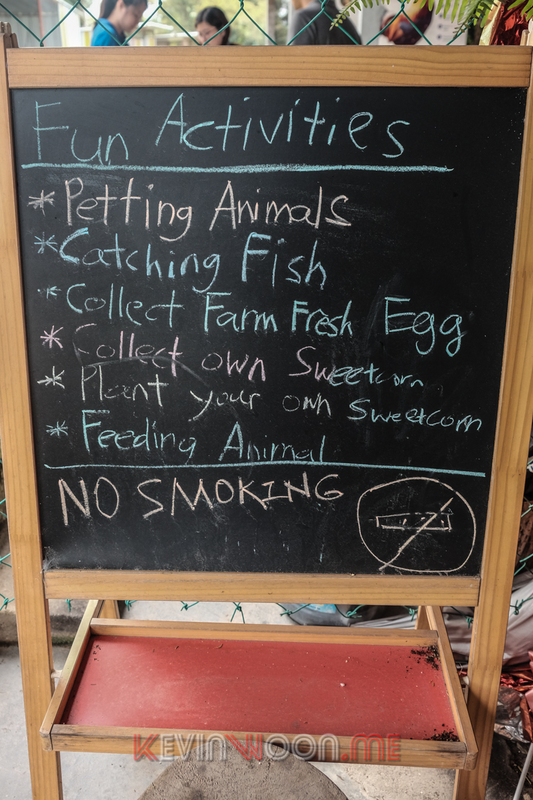 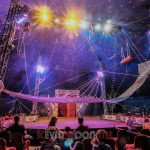 The animal choices are not as much as Farm in the City but it’s sufficient for the boys to enjoy themselves. 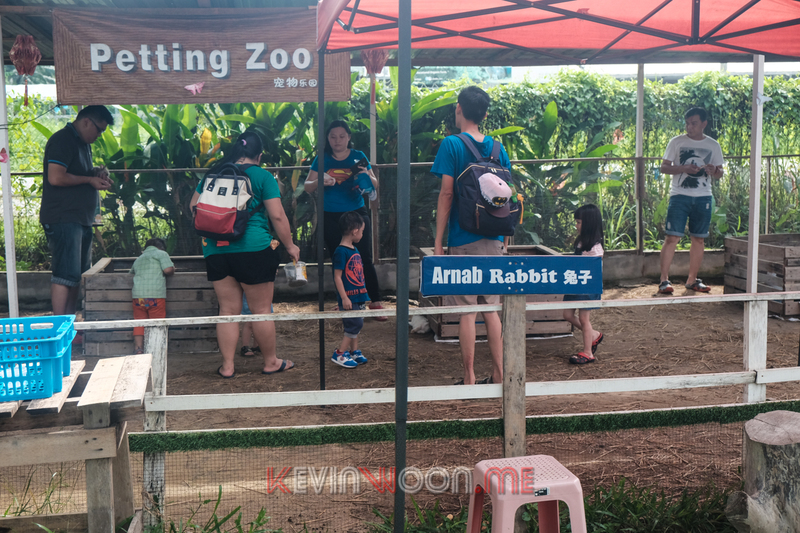 Another good thing about this place is the crowd is not big so we got to take our own sweet time to cuddle with the animals.